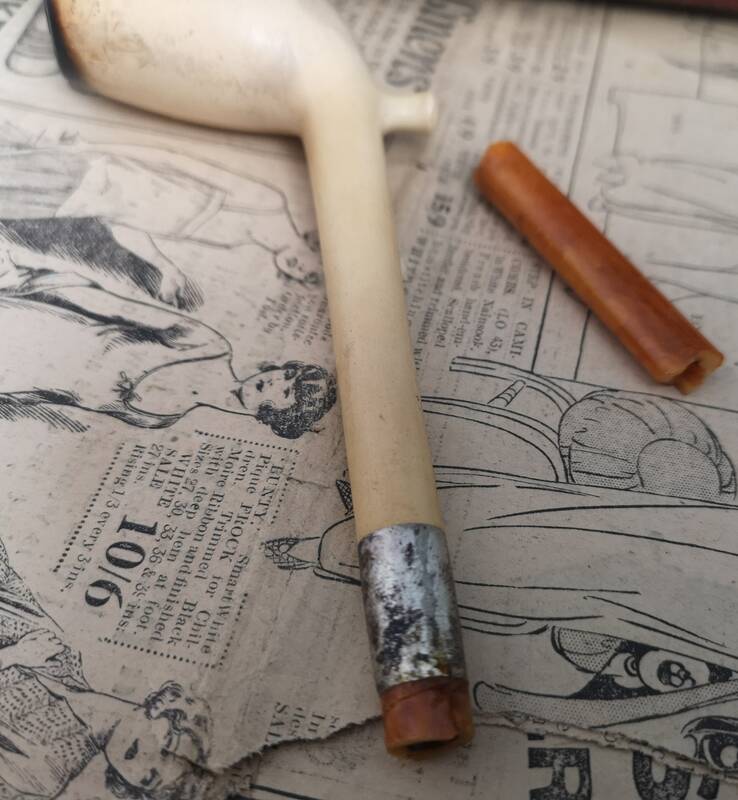 An early 20th century German meerschaum pipe with a silver plated ferrule and Amber mouthpiece. 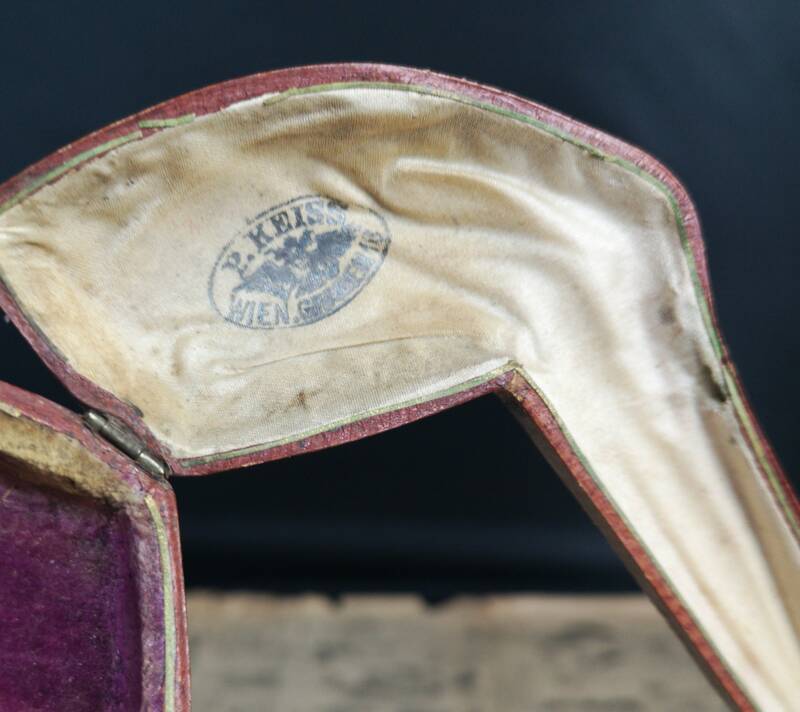 It comes in the original leather bound case which is branded inside P Kiess. 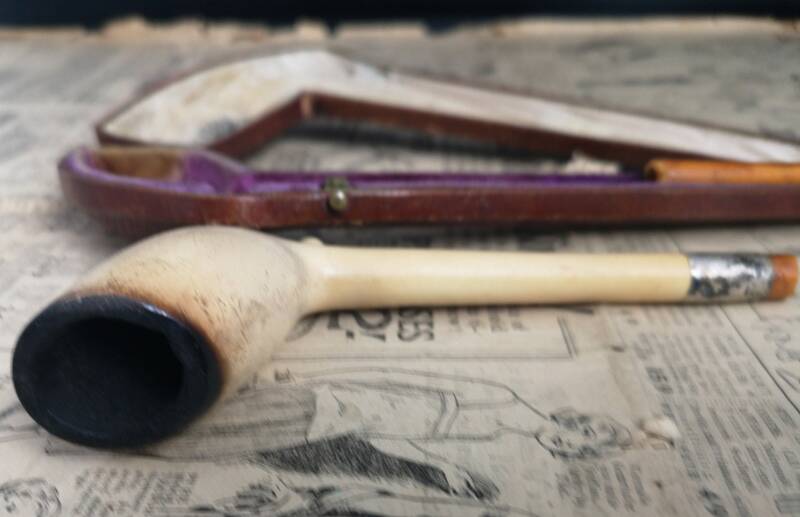 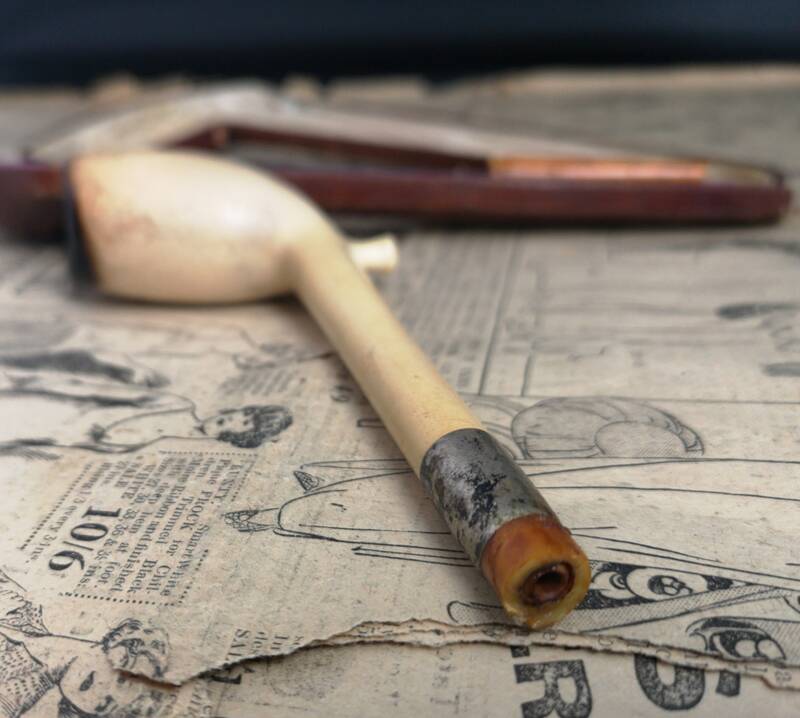 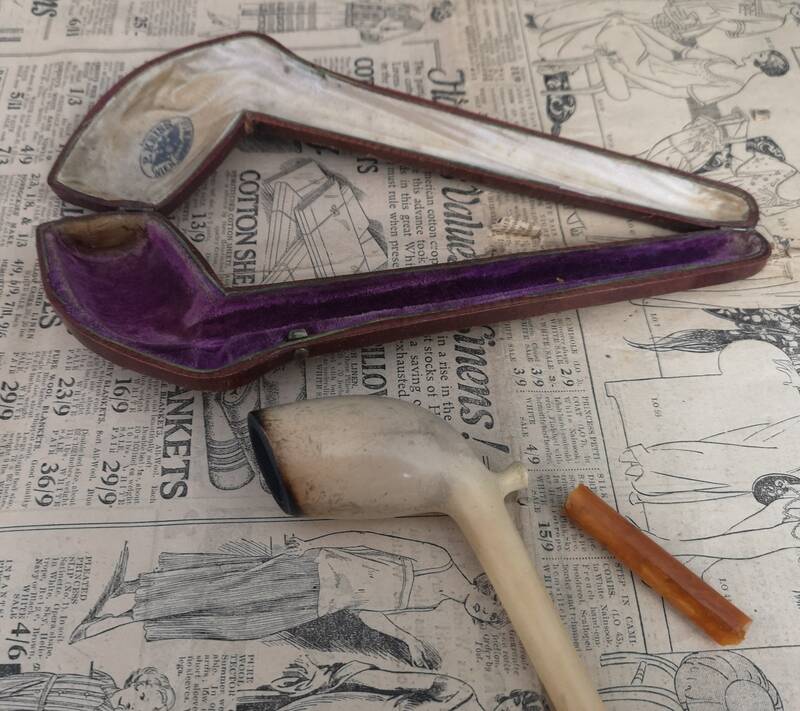 The pipe has a large meerschaum bowl with lots of wear and char. 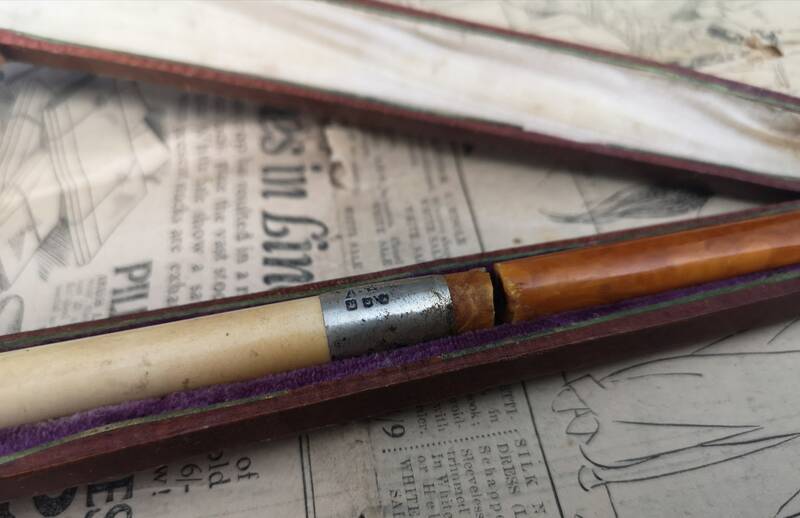 The silver plated ferrule is marked but this is worn significantly, the Amber mouthpiece is broken in two places and the end piece is missing. 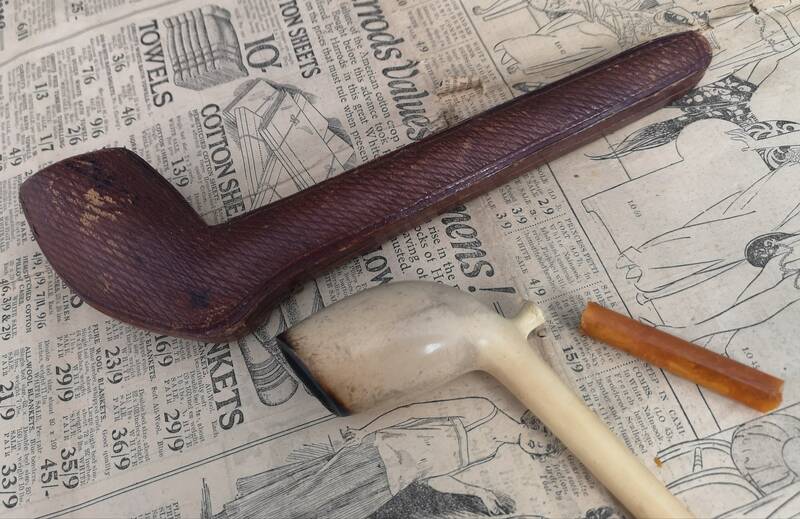 A nice little pipe restoration project. 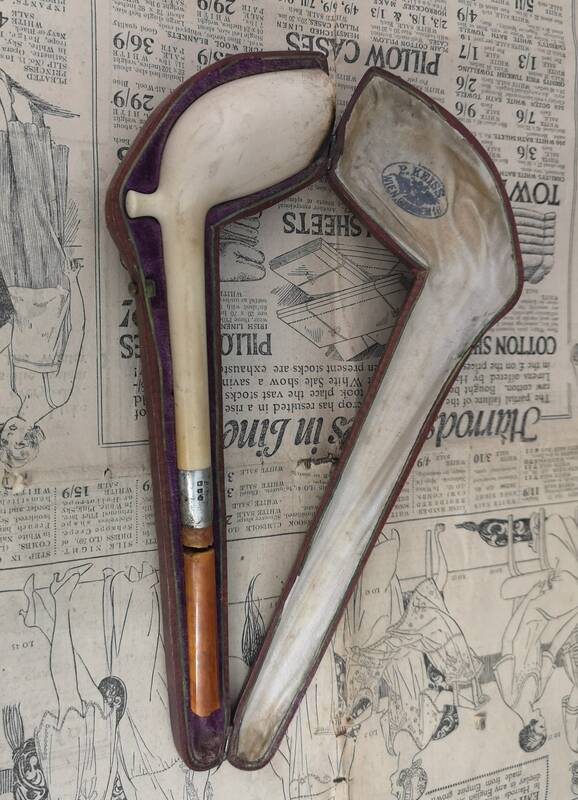 Approx 9" in length and 3.5" height overall in case.